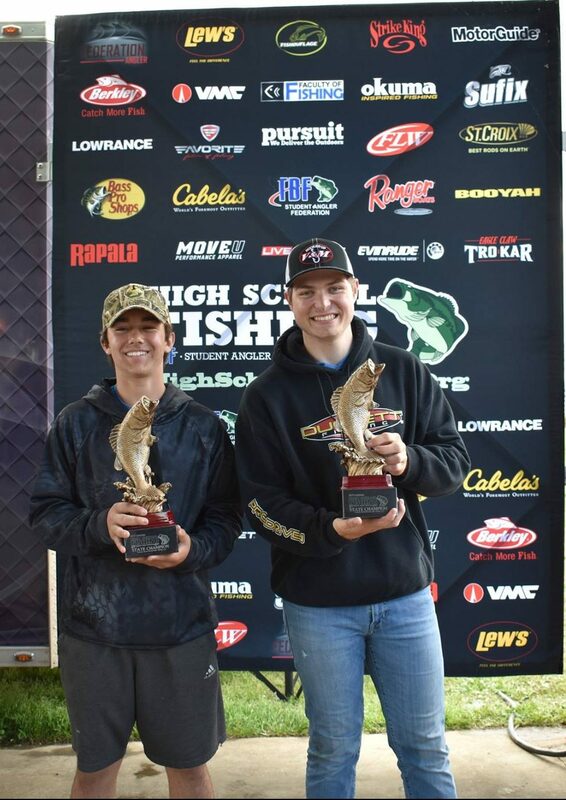 The Russell County High School team of Kyle Roy and Jesse York fished their way to the title by winning the 2019 Kentucky High School State Championship on Lake Cumberland on Saturday March 30th. Their limit of fish tipped the scales at 16 pounds and 15 ounces. That was the best weight turned in, by anyone in the 240 boat field. Most of their fish came relatively shallow while fishing a spinnerbait. When asked on stage about their day, they said they had a limit before noon and were able to cull several times after that. They said they probably gained four or five pounds thru the culling process as most of their bigger fish came in the afternoon. 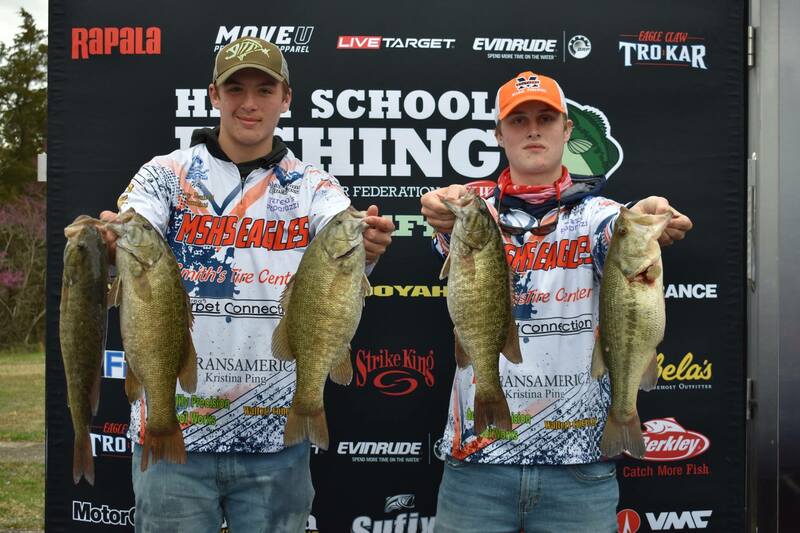 Second place belonged to Logan and Nate Turner from Madison Southern High School. Their sack ended up weighing 16 pounds and 9 ounces. 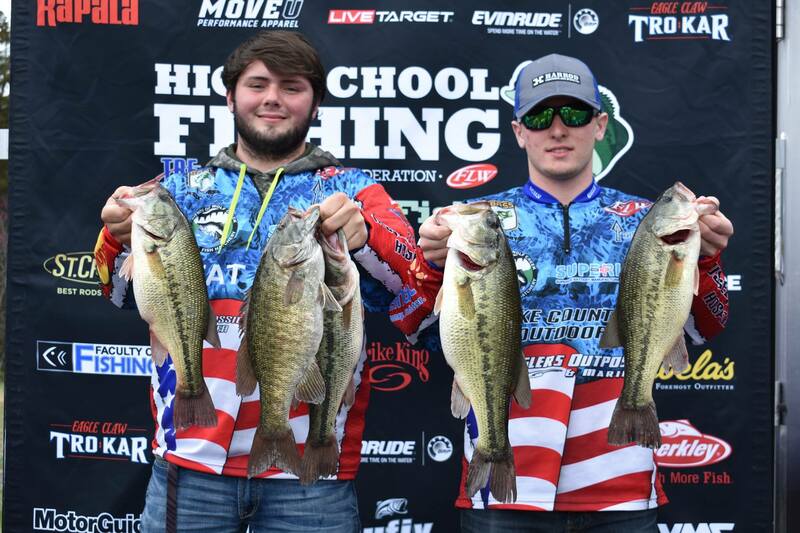 Lawrence County High School anglers Noah West and Eric Price finished third with 16 pounds and 8 ounces. 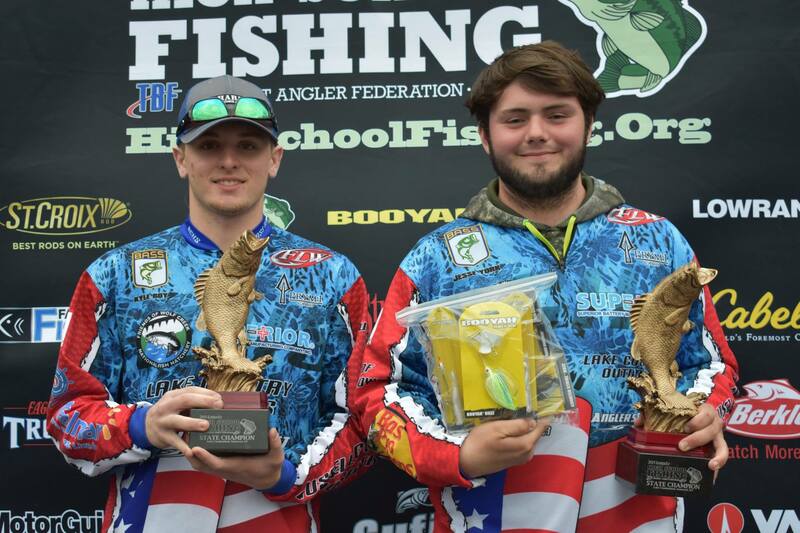 Rounding out the top five teams were Shawn Coots and Trent Keltner, from South Laurel High School with 15-13 pounds and Evan Fields and Ian Nation from Collins High School with 15-11 pounds. 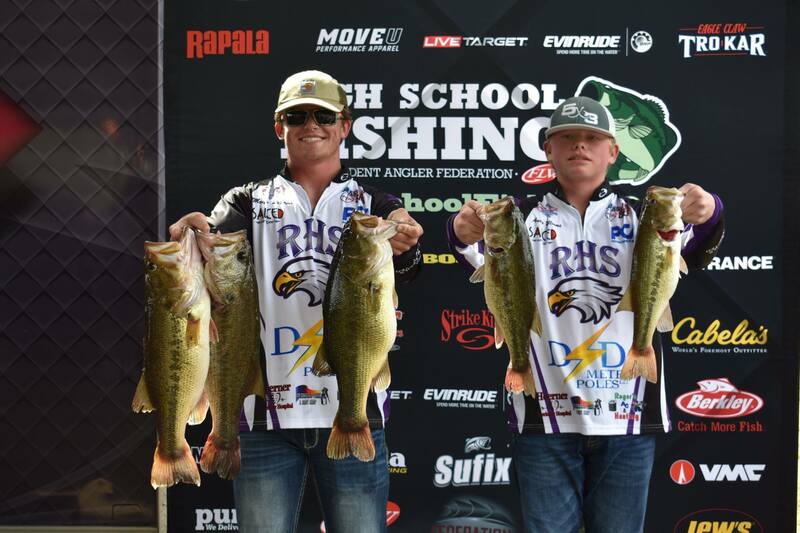 The Lew’s Big Bass of the day came from Hunter Bolin & Alek Masters from Madison Southern High School. 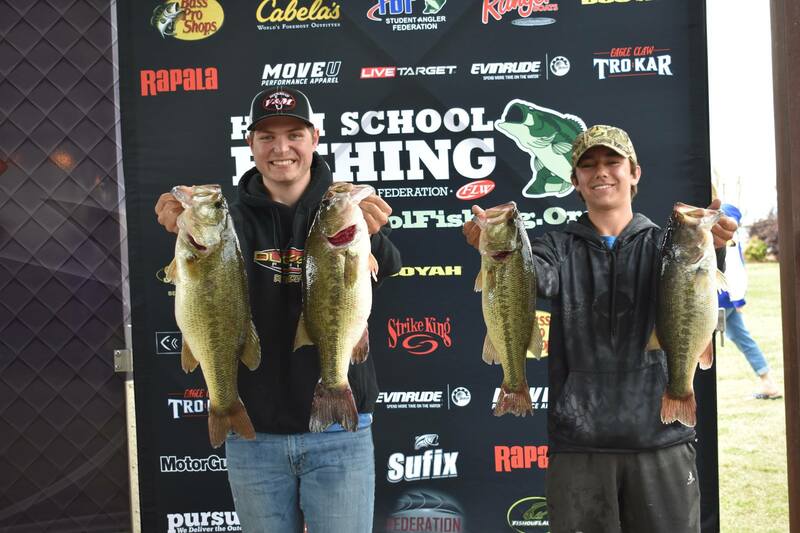 They weighed in a 6-00 pound largemouth to claim the two Lew’s Reels. Two thirds of the anglers said they were fishing some kind of a spinnerbait to catch their fish. Rattletraps, jigs, worms and jerkbaits were also responsible for a lot of fish. Full results and all the 300+ pictures from this event can be found on our results page. Thanks to everyone for making this such a great event. 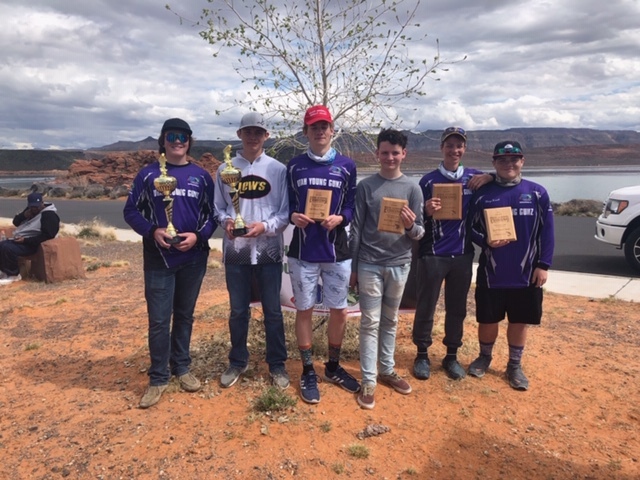 The Student Anglers from Utah has a great tournament at Sand Hollow Resort in St George Utah on March 23, 2019. Champions were Trace Palmer and Kooper King 2 nd place was Matagi Faavale and Payton Land and 3rd Place was Adam and Nathan Barber. Overall almost all participating caught there 5 fish limit. It was a great day of fishing. Big fish was caught by Kooper King and weighed 3lbs3oz.